Shoyrus are the most popular pets in the game - everybody knows that. If you go to the Pet Popularity Page, anybody can clearly see that Shoyrus are the most beloved pets of all Neopia, with their big, adorable eyes, their long, smooth tail, their small curved horn, and their cute, delicate wings. Yet through all of Neopian history, they have had little chance to show their shine. Usuls have been hogging the spotlight for years, with their annoying cross - eyes, their small, wormlike arms, and the issue in that even the boys have girly bows on their butts! It is strange Usuls are so spoiled when it comes to attention; as anybody knows, if you looked at the Pet popularity Page, the Usul is on the fourteenth slot when it comes to popularity. 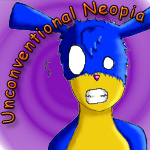 So let's take a tour, shall we, of how Neopia's most beloved pet has been left in the dark. The Neopedia - to most, a book of great knowledge and a wonderful way to learn. The articles are plentiful and detailed, the fonts made easy to read by non-invisible ink, and the pages clean and crisp, not having anything to do with the evil Inky Eraser. Yet, after a few hours of spilling through its pages, I discovered there are but TWO Shoyru articles - one about was just a brief anecdote, and the other is about a Shoyru hero, the Shoyru Scout, who is hardly ever celebrated! In fact, it would not surprise me if only people who had read the entire Neopedia would know of the justice-bringing Shoyru, who has received no thanks for his service, which he still carries out. Now, let us discuss Neopian items. Shoyrus are the most popular pets in the game, yet have a few books, a small number of plushies, and a collection of meatballs. Hardly anything compared to the fourteenth most popular pet, the Usul, which has small jelly versions of itself, small different chocolate versions of itself, a number of books and keyrings, a couple of collectible cards, cakes, a couple books, plushies, virtual prizes, and the long line of dolls they have under their belt! Not to mention a magical paint brush only they can use! A few smaller issues are the colors Shoyrus can become. Their baby form is just a green beachball-sized eye with a small pajama-clothes sack attached, and their robot form is just grey with a few lines and an antenna! And though their Faerie and Maraquan forms are cool, their Darigan version leaves a slight amount to be desired, and so does their Lost Desert form. Another injustice is last Shoyru Day, which came LATE no less, when we were unable to give our Shoyrus free training. They received no makeovers (though I believe the Usul could use a makeover more than the Shoyru) or anything else that was very special. And now one of the greatest ways that Usuls have been quenching their unending thirst for attention - PLOTS! From Hannah and the Pirate Caves, to Hannah and the Ice Caves, and to Garin in the Fight for Maraqua, Usuls have been feasting themselves on the spotlight in plots for quite awhile. And yet have you seen a SINGLE Shoyru character that had more than maybe a few lines or perhaps a panel of their own? NO. And don't tell me about 'Well about that blue Shoyru that was Princess Amira's advisor?' because that wasn't a very good role at all! He had a few lines and maybe a couple panels. Certainly not enough to make up for the ages of Shoyrus being shunned in plots. Here, I'll do a brief interview with a couple Shoyrus, to see how they feel about being forever shunned in Neopian society. First question - Do you think Usuls need to stop seeking attention, or have you not noticed the fact they are constantly in the spotlight? - Nightwreath (owned by Songsorrow) - I agree with you, Lunaquarrian. Usuls need to learn there's more to life than themselves and their lust for attention. - Angel_ice209 (owned by sweet_dreams_616) - Not really. - starry_dreames (owned by presipation) - Yeah, they really do get all the attention. Second question - Do you wish to have a little more attention, like say, a major character in a plot or a few more games? - Nightwreathe - Yes, that would be fantastic! I don't want to hog the spotlight - I just want a little attention for my species. - Angel_ice209 - Like you said, we're the most popular pet. Why not share the spotlight? - Nightwreathe - Because we never GOT any spotlight to begin with, maybe? We don't have any spotlight to share, Angel. Usuls get all of it. - starry_dreames - Oh, yes! That would be fantastic! Third question - Would you go on strike, refusing to do what anybody says to prove Shoyrus deserve some recognition? - Nightwreathe - I got the protest signs right here. Let's get started. - starry_dreames - I already have, and I'll do it again! So as you can see, Shoyrus, the most popular pets in the game, have been living in the attention-hogging Usuls for years. I say we band together, and give Shoyrus the recognition they deserve! WHO'S WITH ME!? *Nightwreathe and starry_dreames walking in front of TNT office building, protesting* JOIN US, FELLOW SHOYRUS! Life as a Darter for the M.M.G. I'd hate to ask about the second best!